have to wear a pilgrim costume to school for a week after Thanksgiving? 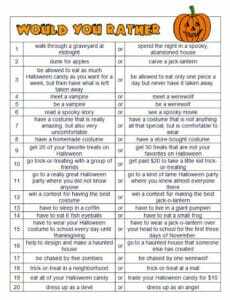 Would You Rather questions make great discussion starters whenever you have a few minutes. They also make terrific journal prompts! 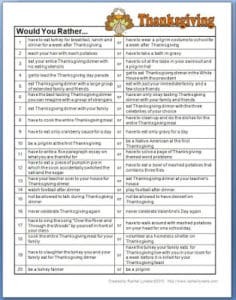 Here are 20 Thanksgiving Would You Rather Questions to use with your students.